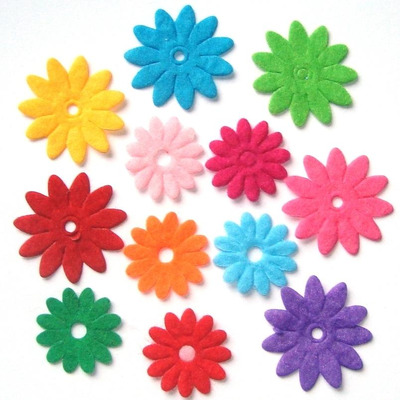 Suitable for sewing onto felt or fabric, these brightly coloured felt flower shapes are ideal for decorating crafts and for cardmaking. They can be glued on or sewn in place. Use individually for a simple effect or place a small flower on top of a large flower for a more flamboyant effect.